– Notes by Nigel Day-Lewis from the weekly NCF Church staff meeting, compiled by S. Mahabeer. We can’t fall into the trap of taking being part of a church for granted, no matter what size it may be. As NCF Church, we are sizeable church in many locations, and therefore, we have the privilege of having a number of resources. It would be a mistake, however, to grow lax in our mentality and attitude, and to treat these “things” with neglect and/or even disdain. How do we that practically? It can be done in small simple ways such as making sure we don’t waste our resources, such as electricity, water, paper or our vehicles. Something so seemingly insignificant such as turning the lights or the air-con off if you are the last person to leave the room can go a long way. If you are using a church vehicle, make sure they are returned in a clean state and that oil and water are okay. If you are borrowing something from church, let someone know and don’t just take it. If something is broken, either let someone know about it or fix it yourself. 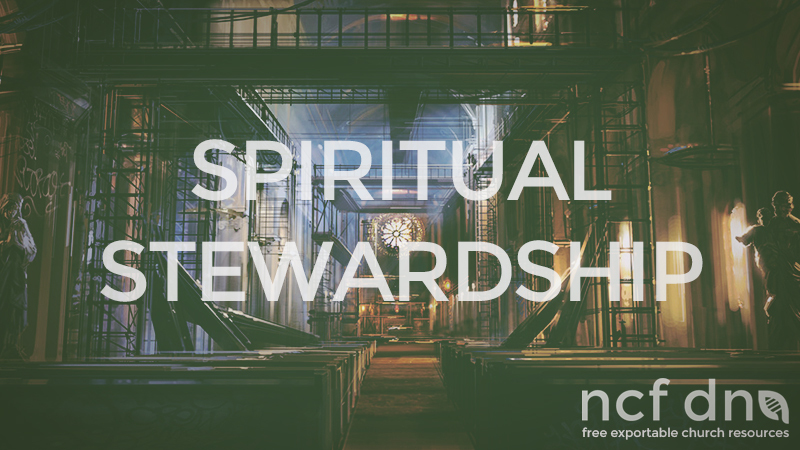 When we take care of what we have been given, we can use the money for other things to further the kingdom, instead of having to use it for repairs because we haven’t been good stewards of church resources. So let’s take ownership, let’s not just assume someone else will pick up the pieces, will fix whatever was broken or right what was wrong. Let’s be faithful stewards in the little things, and let’s see what big things God will have for us as a result. We all know how it is: we joke around with our colleagues and friends, and someone makes comment in jest, which of course is not meant to harm anyone, and yet someone gets hurt or offended. We need to be aware that sometimes these comments we make fall on ears that either don’t understand such jesting or have a more sensitive personality and end up hurt. Let’s make an effort to edify and build each other up with our words. Furthermore, let’s make sure we speak well of our church and our elders and pastors. We wouldn’t want our words to become a stumbling block to others who then trip, fall and get injured. Words have the habit of bouncing back and coming around. Bad words/ gossip/ slander have a horrible way of getting around fast and causing all kinds of destruction. So, let’s make an effort that the words that bounce back are ones of life and encouragement. Let’s speak life. We are blessed to live in South Africa which is seeing something like a slow-brewing revival. We see people getting saved every week and we cannot become apathetic towards such a miracle. The Bible tells us that “In the same way, I tell you, there is rejoicing in the presence of the angels of God over one sinner who repents.” –Luke 15:7 (NIV). So, let’s not take salvations for granted and come down with something like “celebration fatigue”. Let’s celebrate with the angels, because one sinner has repented and evaded the burning furncaces of hell. Let’s think of the beauty of heaven and the horror of hell. And let’s celebrate that one more person has joined our church family and walked out of spending an eternity in hell, and into an eternity with our Lord and Saviour Jesus Christ.